For anyone, who is looking for a hair regrowth alternative that not only feels but also looks natural, hair transplant is, inarguably, the best option available. Thanks to the recent advancement in medical and cosmetic science, not only has this procedure become extremely effective but also almost painless. And for what it’s worth, you can now get it done easily at one of the reputable hair clinics in Delhi. But before you move ahead with the plan, let us help you understand what exactly a hair transplant entails, and when should you go for this promising hair treatment. Hair transplant is conducted using a technique called micro-follicular transplantation. Under this technique, your hair specialist will first make a selection of your hair, based on your facial dimensions. Then, from this selection, the specialist, along with his team will harvest a strip of the hair, preferably from the back of your head, and the area will then be stitched up. Next, the hair from the strip will be cut into micro and mini grafts. The micro grafts, which usually contain one or two hair strands, are utilized for the formation of the front hairline, which is approximately 1.5 cm wide. Beyond the front-line, the mini grafts are meticulously introduced into mini slits. Each of the graft will result in the growth of 3 to 5 hair strands, thus adding to the volume of your hair. The grafts are placed in a manner that ensures that future growth of hair is not hindered. 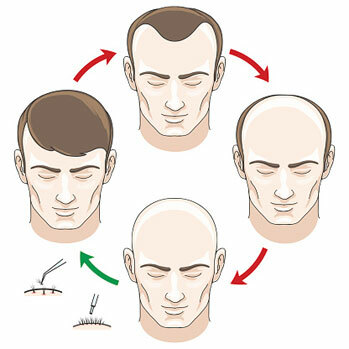 Before opting for hair transplantation, you must pay attention to the present-day condition of hair growth. Even if bald spots or thinning of hair starts to appear as early as in your teenage or early twenties, chances are that there is still a decent amount of hair on the crown region. Hence, going for a hair transplant at this stage is not advisable. The reason is simple. The hair that is still present might fall off at a later stage, thus leaving you with those nasty bald spots only a few years after your transplant. At which point, you will be forced to undergo the procedure all over again. However, if you’re in your late twenties, or older, and are suffering from a severe case of hair loss, you can conveniently opt for the procedure. In this case, it is best to consult an experienced hair transplant specialist, who can guide you efficiently. Whatever might be the case, always remember, hair transplant is only possible if you still have a reasonable amount of hair present on the sides or the back of your head. So, make sure you visit a specialist to know about the best solution for you. All that you need to do is get in touch with one of the most reliable hair clinics in Delhi, and give a new start to your life!